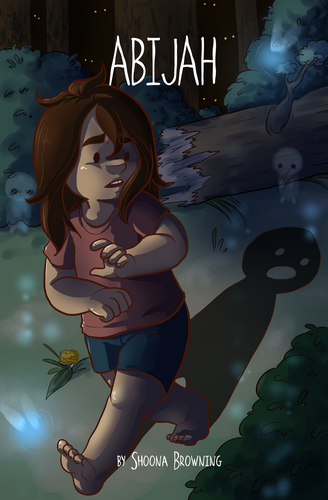 Abijah (released in 2014) is short comic about a child named Abijah who follows their shadow into the woods on a journey to find their parents--whatever that takes. They must protect eachother if they want to make it safely. Abijah is a 15 page black & white comic and the first short comic I ever released.